Listed as a UNESCO World Heritage Site, the stunningly picturesque Ha Long Bay is an excellent choice for an unforgettable getaway. The reason is obvious as to why Jordan Vogt-Roberts, director of recently released movie Kong: Skull Island, chose the beautiful Ha Long Bay among others significant locations in Vietnam and the rest of the world to film. You will be amazed by the charm of the bay watching through the scenes in the movie. It should definitely be on the top of your list whilst you’re visiting Vietnam. Here is a list of things you can see and do around the bay; however, since this location is an UNESCO protected World Heritage site, it is hard to explore everything by yourself. Instead, you must find a tour with an itinerary that includes everything that strikes your fancy. Some recommendations are mentioned below. Visit Lan Ha Bay or Bai Tu Long Bay. Lan Ha Bay is located in the southwest, and Bai Tu Long Bay is in the northeast, yet they both have similar geological, geographical and cultural characteristics. Small and popular tourist cruises will only take you around the well-known parts of Ha Long Bay. Vietnam’s Phong Nha-Kẻ Bàng National Park is known for hiding the world’s largest cave, Hang Son Doong Cave, among many other majestic cave systems, such as Hang En-the world’s third largest cav-and Paradise Cave. 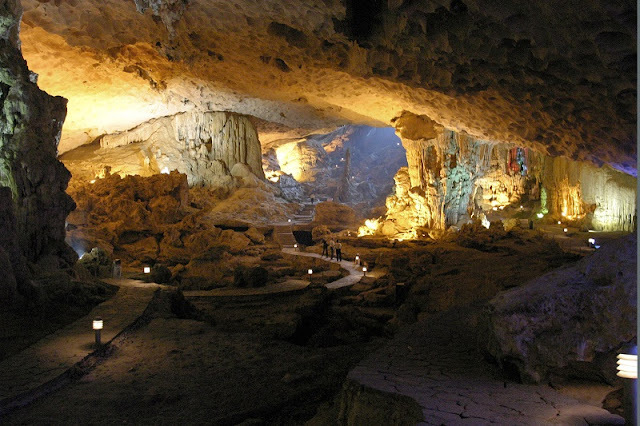 However, Phong Nha isn’t the only location in Vietnam that has caves. Hidden in the thousands of jungle-covered peaks of Ha Long Bay are picturesque grottoes and caves of all shapes and sizes. Check out Thien Cung Cave (Heavenly Palace Cave) and Dau Go Cave, which are easily accessed from Tuan Chau Port. Plenty of boats and cruises anchor here, offering cave visits. It’s exciting to take a two- or three-day-long cruise on the water, travelling from one place to another, but imagine living on a little house built on a boat. Someone who lives on a floating village cooks, washes, hangs out with friends, and even learns or works in this environment. Visiting these villages is a fascinating and humbling experience. Take your time visiting one or more of the four main floating villages in Ha Long Bay: Cua Van, Vung Vieng, Cong Dam and Ba Hang. Take an excursion to Cat Ba Island. The Cat Ba Archipelago, with 367 islands, makes up most of the south of the bay. Within these islands, you’ll find Cat Ba island, the biggest of all, which has some impressive natural beauty. It’s also home to the Cat Ba National Park, which is perfect for trekking and climbing. The island is best explored by bicycle or foot, and if you want to partake in the more adventurous activities, reach out to Asia Outdoors, the only company that is legally allowed to provide adventure packages on the island - and more! Cat Ba Island is also popular for its party scene, and many backpacker tours include overnight packages. 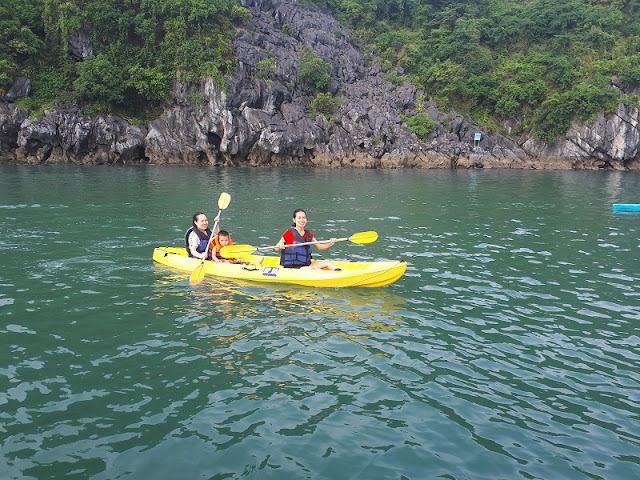 With clean blue water and calm tides, Ha Long Bay is ideal for paddling around from one limestone outcrop to the other, and sometimes even through caves. The most common areas for kayaking are part of 3 Peaches islets, Dark and Light Cave. You’ll find that most tour packages offer kayaking as part of their price. The scenes underwater are just as beautiful as what you get above. 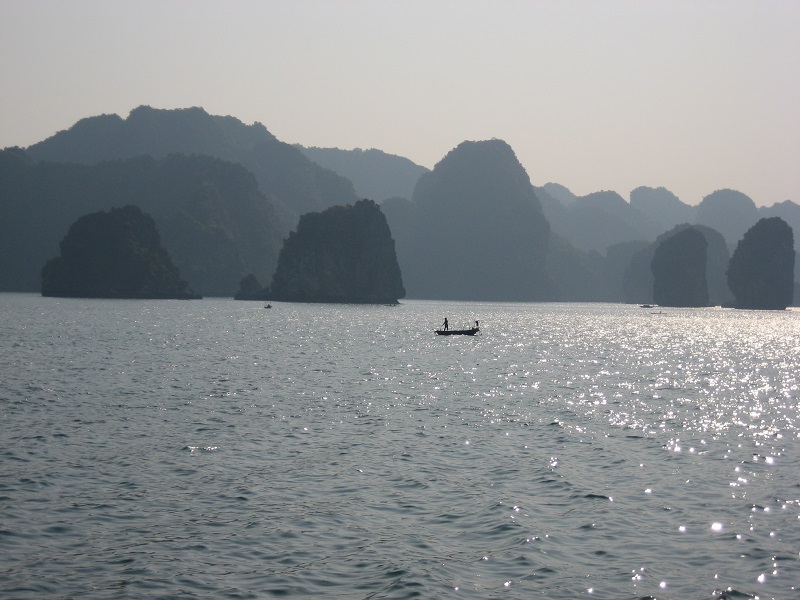 Scuba diving and snorkeling are recent additions to the activities you can do in Ha Long Bay. View Ha Long Bay from a seaplane. 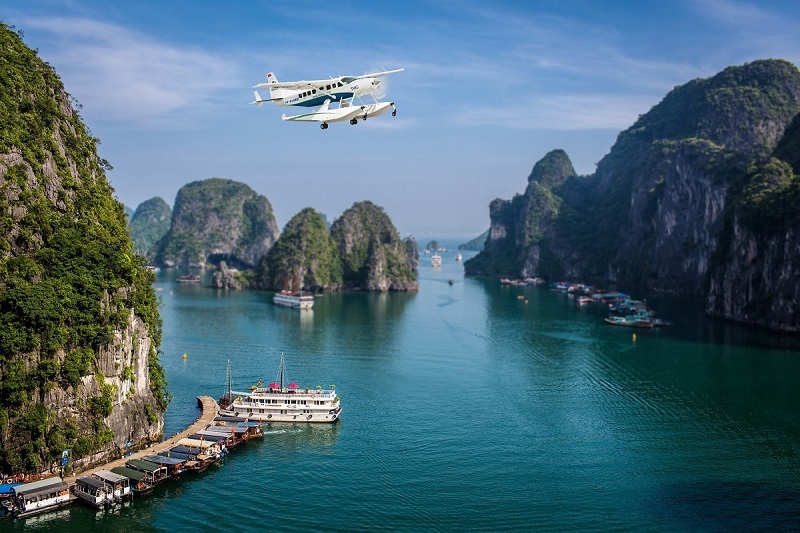 Despite being rather costly, jumping on a seaplane and flying over Ha Long Bay is one of the most thrilling and scenic activities you can do. The plane departs from Noi Bai International Airport in Hanoi, so you won’t get stuck in traffic on your way to Ha Long Bay. You will be rewarded with a beautiful birds-eye view of the bay and of all the peaks in their entirety, rather than of one peak after the other, like at sea level. The charm of the Ha Long Bay is undeniable no matter which trip you choose to do. However, understanding what you want will ensure an incredible experience that you would never forget. Do remember that the things we provided to have a perfect holiday in Vietnam.